In his book entitled The Aryan Origin of The Alphabet published in London in 1927, L.A. Waddell believed that the alphabet had been invented by the Sumero-Phoenicians who were not "a Semitic people". But Waddell’s text was produced in support of his ideological and racial stance, that is, the superiority of the so-called "Aryan" race. This critical issue is now almost solved, thanks to the excavations led by Dr. Günter Dreyer, Director of the German Archaeological Institute in Cairo. The most ancient written texts in world history were then dug up at Abydos, in Upper Egypt. Some years ago, more than 200 labels were found by Dr. Dreyer and his team. It is a question of script because texts written, use ideograms as phonograms, that is, signs have phonetic value. These labels in ivory were dated by radiometric methods, and they are older than Sumerian script, which will give birth to the cuneiform system of writing. Let us specify that a given script is the visual representation of a language, i.e. voice sounds. A system of writing is an organized set of symbols or written signs used to serve as material objects representing invisible voice sounds. To write is to form signs, i.e. characters or symbols on a surface such as stone, wood, ivory, clay, papyrus, paper with an instrument such as a chisel or a pen. - Egyptian System of Writing : The earliest hieroglyphic signs dating from about 3400 B.C. They are already used for their sound values. This system of writing was developed in three successive stages, known as hieroglyphic, hieratic, and demotic. - Sumerian Writing : about 3060 B.C.. The Sumerian script was always on clay. The most ancient Sumerian inscriptions on tokens and seals are difficult to read because there is no firm relationship between sign and language. From about 3000 B.C. wet clay were impressed by means of a triangular shaped stylus, leaving a wedge shaped mark. The Cuneiform Writing had thus come into existence. - Chinese Writing System : No later than the Shang Dynasty, in 1766 B.C., the earliest Chinese inscriptions found on bronze vessels and oracle bones are already highly stylised. China has the longest literary tradition that still continues today. - Maya script : This is the script of the Maya civilization of central America having been dated from 500 B.C. to 1200 A.D. A total of about 800 glyphs have been identified. The Egyptian system of writing gave birth to many other scripts. Indeed, the Egyptian writing as both a concept and a specific form, spread throughout the region of Sinai and Canaan between 1700 and 1500 B.C., giving birth to Phoenician script, and Aramaic writing. The Aramaic writing system spread widely between the VIth B.C. to modern Hebrew script. The Greek alphabet derives from the Phoenician one. It was the western Greek known as Chalcidian alphabet which spread through Italy and thus to Europe, beginning the basis of all modern European scripts. The Etruscan alphabet is an offshoot of the Greek alphabet of Euboea. 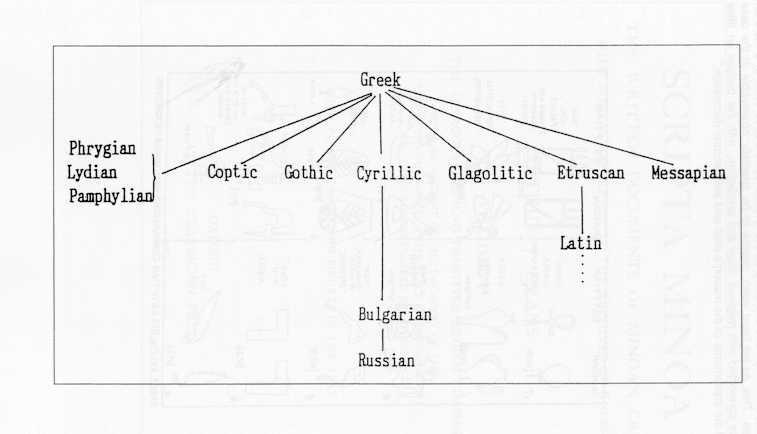 Cyrillic, Glagolitic, Russian, Runic, and Roman scripts all trace their origins back to the Greek alphabet. The writing used by the Tuareq for writing Tamasheq, one of the Berber languages of North Africa, is derived from the Old Numidian script, which is an offshoot of the Punic script. This Berber script is known as Tifinagh script. The Punic script was used in the Phoenician colony of Carthage and other parts of North Africa from the IXth century B.C. to the first century A.D.. The Ge'ez language, which for many centuries served as the language of the Ethiopia church and other literary functions, and the Amharic, that is, the national language of Ethiopia, are written with the Ethiopic syllabic alphabet which suggests a connection with other Semitic writings. The Meroitic script is derived in the second Millenium from the Egyptian writing known as demotic. This script was used in Kush Kingdom during the Napataen period in Nubia (Northern Sudan) until the IVth century A.D. when it was gradually superseded by Old Nubian Alphabet, which is in fact Greek alphabet like Coptic alphabet. But the Meroitic language is little understood (see Imhotep Newsletter – n¡2 "Meroitic script and computer", San Francisco State University, February 1999). - Writing, Text, and Africa by Simon Battestini (1994). a) Writing originated in the Nile Valley with texts dated back to 3400 B.C., that is, labels in ivory found at Abydos. b) This was the Egyptian script which gave birth to many other scripts still in use, such as Hebrew, Greek, Ethiopic, and Roman alphabet. c) The Sumerian and Cuneiform scripts were born and died within Mesopotamia ; they were never used outside Mesopotamia and the Near East. d) The important theoretical issues concerning the relationship between speech and writing, and the scientific study of writing, must now take seriously in account African variety of writing systems in a global or multicultural perspective. e) The scientific fields that are interested in writing, as history and palaeography, psychology, linguistics, and sociology, must now look more closely to African writing systems, because Africa is not only the cradle of all humans but also the cradle of writing. The first human beings to write their mother tongue were people of Kemet or Ancient Egypt. Some documents are attached here to support the main ideas discussed in this paper. Hoc maneat in causa, judices. Roman statesman, orator, and philosopher. D. Diringer, The Alphabet (New York, Funk and Wagnalls, 1948). I. Gelb, A Study of Writing (Chicago: Chicago University Press, 1944). H. Jensen, Geschichte der Scrift (Hanover, 1925). Collective Book on Naissance de l'écriture. 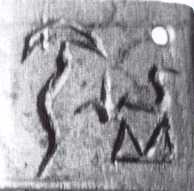 Cunéiformes et Hiéroglyphes (Birth of Writing. Cuneiforms and Hieroglyphs), Paris, 1982. J. Drucker, The Alphabetic Labyrinth. The Letters and Imagination (London: Thames and Hudson, 1999), with 339 illustrations. John D. Ray, The Emergence of Writing in Egypt, pp. 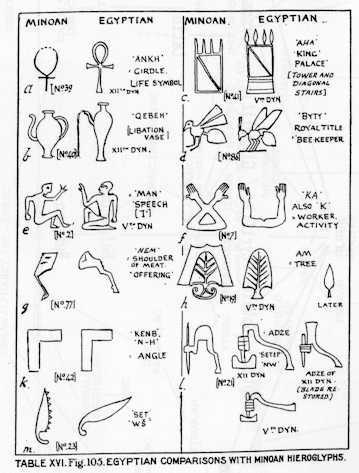 307-316 in "World Archaeology", vol. 17, no.3, February 1986 : "Early Writing Systems". E. Renan (1823-1892), Mémoire sur l'origine et le caractère véritable de l'Histoire phénicienne qui porte le nom de Sanchoniathon, Paris, Mémoires de l'Institut Impérial de France, Acad. Inscript. Belles-Lettres, t. XXIII, 1858, pp.241-334. Günter Dreyer,"R ecent Discoveries at Abydos Cemetery U", in The Nile Delta in Transition: 4th-3rd millenium B.C., Tel Aviv, E.C. M. Van Den Brink Editor, 1992, pp. 293-299 ; V. David and R. Friedman, Egypt, Londres, British Museum Press, 1998, pp. 35-38Ê; Cf. Mario Beatty, "Recent finds in Predynastic Egypt", in this same issue of ANKH. Figure 1 : On this label the name for a specific oil is clearly written : Bak.The tree behind is used as a determinative. 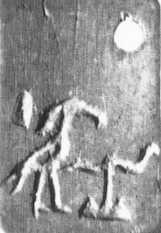 Figure 2 : This text reads djw akh meaning "The mountain of light", that is, the East, which is the rising place of the sun. The snake depicted in the text reads dj and the mountain reads djw. But one must read both as djw meaning "mountain", because the snake is just used as Phonetic Complement. The bird is a crested Ibis and reads akh meaning "Light". Figure 3 : The sign behind the snake and the mountain is a lighting bolt reads grh meaning "Darkness"; thus, the text reads "Mountain of Darkness", that is, the West, which is the setting place of the sun. These texts (Figure 1, Figure 2 and Figure 3) are the first written records in the world, dating back to 3400 B.C. and found at Abydos in Upper Egypt by Dr. Dreyer. 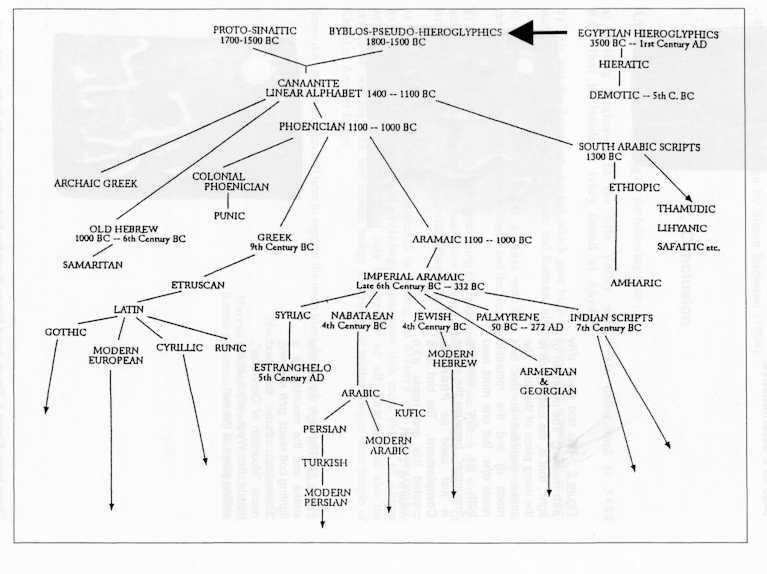 Figure 4 : Outline of the history of the alphabet from Egyptian source. Figure 6 : Scripta Minoa, by Arthur John Evans (Oxford : Clarendon Press, 1909) with 132 illustrations, 13 plates and 26 tables. "In view of these comparisons, it seems legitimate to infer that, over and above the general formative influence which the Egyptian hieroglyphic system may have exercised on the Cretan, some traces exist of a more direct indebtedness. This, as we have seen, seems to be specially observable in the case of certain signs connected with religious ritual and symbolism, with the badges an titles of royalty, and the implements of the mason's craft and architectural decoration."